Your donations ensure those in need have food on their table. Want to Run a Food Drive? 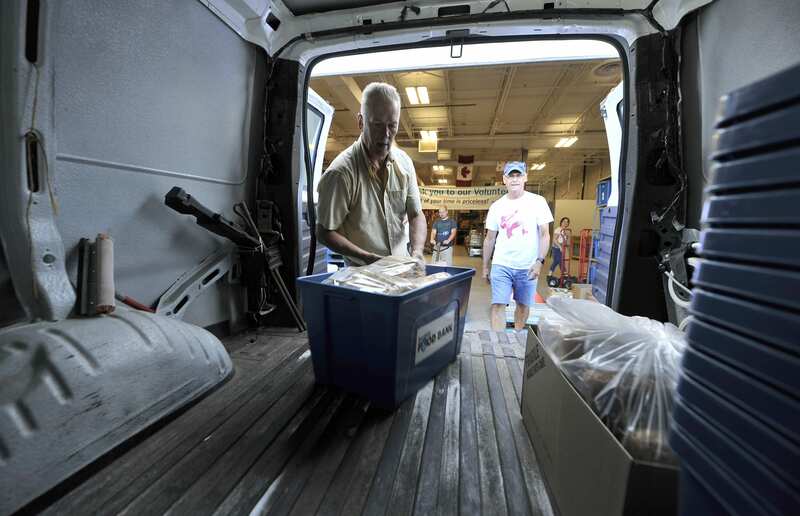 Many groups and organizations want to help out the food bank but just don’t know what to do. If you are part of a school, church, business, service organization or community group why don’t you run a food drive? We have several groups who run successful food drives at various times throughout the year that raise thousands of pounds of food. First decide you want to conduct a food drive. Next set a goal for the amount of food you would like to raise (600 pounds), people like to know what they are aiming for. Set a start and finished date, ie October 10 through to October 20, this is key to a successful food drive. Finally contact the Barrie Food Bank to get the “Most Needed List of Food” and arrange for some donation bins to be dropped off at you location. Evy at 705 725 1818 ext 2003 can make these arrangements. That’s it you are ready to go, from here you can use your imagination to create competitions, teams or may you want to raise specific products. There are no limits other than the simple steps. Thank you for deciding to run a food drive and to support the work of the Barrie Food Bank.